1. Try only going to booths of vendors you absolutely NEED. Vendors are there to SELL you their services! This means, you may be stuck talking to someone who's services you may not even need at your wedding. Try to only hit the booths of people you are interested in, don't waist your time or theirs. While speaking to a vender, try writing down some notes about their services. Jot down what you liked about them, did they seam genuinely interested in your wedding, did you connect with them, etc. This will help you remember details about all the different people you've met that day. 3. Do they have any specials? Allot of vendors will draw you in with specific specials they are offering exclusively to brides who come from a certain wedding show. Be sure to remember/write down what they are offering you so you can redeem their special. First step, organize all the cards and pamphlets you received in groups by what type of venders they are. Second organize each group from who you liked the most to who you liked the least. Browse around their website and find pictures of past events, extra services they offer, look through their blog, be informed! Get to know your future vendor. 3. Look them up on Wedding Wire or any other helpful website. Look them up on social media sites like Wedding Wire, Facebook, and Google local. Make sure you know how satisfied previous customers were. 4. Call vendors and book one-on-one meetings. As soon as you have made up your mind about a vender make sure to setup a meeting at their office (by the way, our Edge Sight and Sound office is beautiful! come visit our office and say hi to me :) ) to go over questions you might have about their services. This is a great time to get prices and go over your wedding vision. Take notes if necessary, I know it helps me remember little details. 5. Book your wedding date as soon as possible. Always take at least 24 hours to confirm you business with a vendor, you want to be 110% sure that they are a perfect fit for your wedding. Take time to meet with ALL the venders you are interested on, but don't wait too long, dates fill up fast. 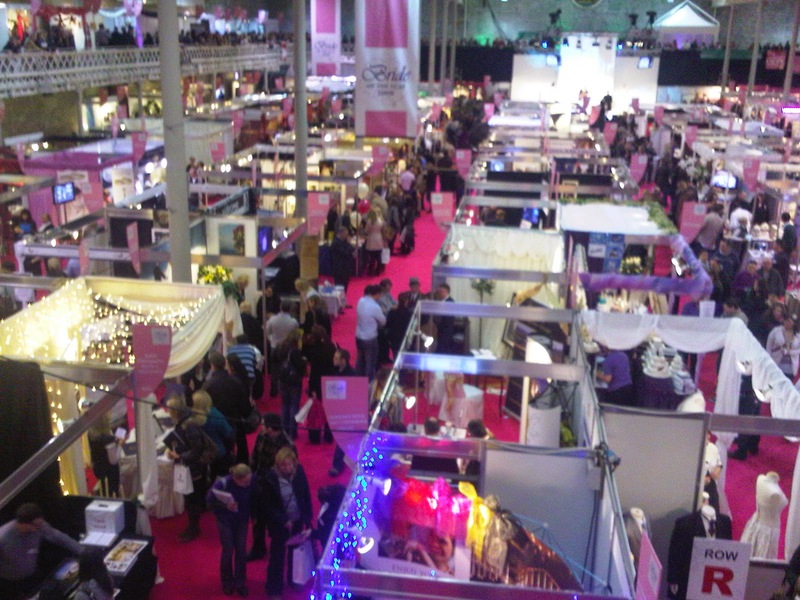 Wedding shows bring a massive amount of business, so be sure to book your date ASAP.